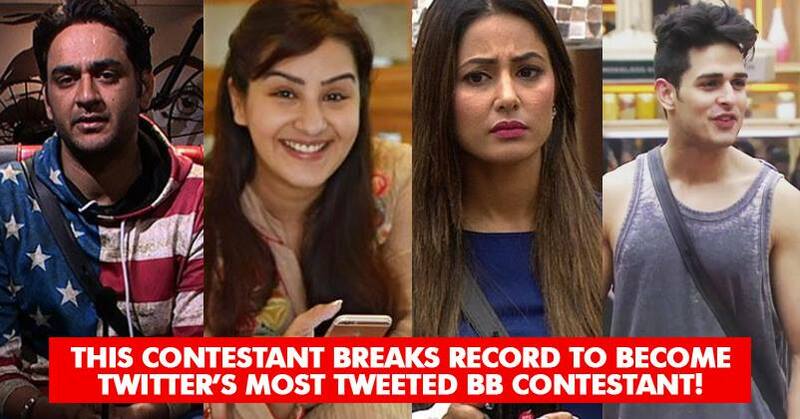 There are many people who think that Bigg Boss is all about insults, hate, accusations and controversy; however, the reality show has changed career of few celebs to a large extent and it has given contestants some pleasant experiences as well, undoubtedly. When Shilpa Shinde and Vikas Gupta entered the house, they were arch-rivals and were not able to stand each other for a minute. But as the game progressed, they both got rid of their grudges and now they are good friends. Shilpa Shinde attracted controversy when she quit the famous sitcom “Bhabhi Ji Ghar Par Hai” after having a dispute with the makers. She has worked in many serials and has a huge fan base and this is reflected in the manner she is getting support on the social media networks as well. Online users have been tweeting about her so much that she made it to the list of Top India Trends on Twitter and became the 3rd most tweeted topic. It is for the first time in the history of Bigg Boss that any contestant has trended so much. #ShilpaWinningHearts made record by trending on number 3 and also for having the highest number of tweets, i.e., 255k tweets in just 7 hours. Something that has Never happendend before. Shilpa has become friends with Vikas but Arshi who used to be close to Shilpa is not very friendly now with her. She has been playing very well and has strong chances of winning the game. What do you say?